As for me, I'm happy to have completed a project. Remember the quilt I started last October? I finished the quilt top in my beginners quilting class, and it's been sitting in my workroom waiting for me to take a machine quilting class to finish it. Several weeks ago I completed a class in free motion machine quilting, and last week I used my October quilt as a guinea pig to try out what I learned. The quilt was already pretty wonky -- my piecing skills have improved considerably -- so I didn't hesitate to practice some radical free motion quilting. It's pretty amateurish, but that's okay. I learned a lot. I finished binding the quilt this afternoon, and washed it. I love the way new quilts look after they're washed the first time -- the crinkly look they acquire. So yeah, I'm happy it's done. And now I'm ready to begin my second quilt. It's a 63" x 74" quilt in the Piece of Cake pattern. 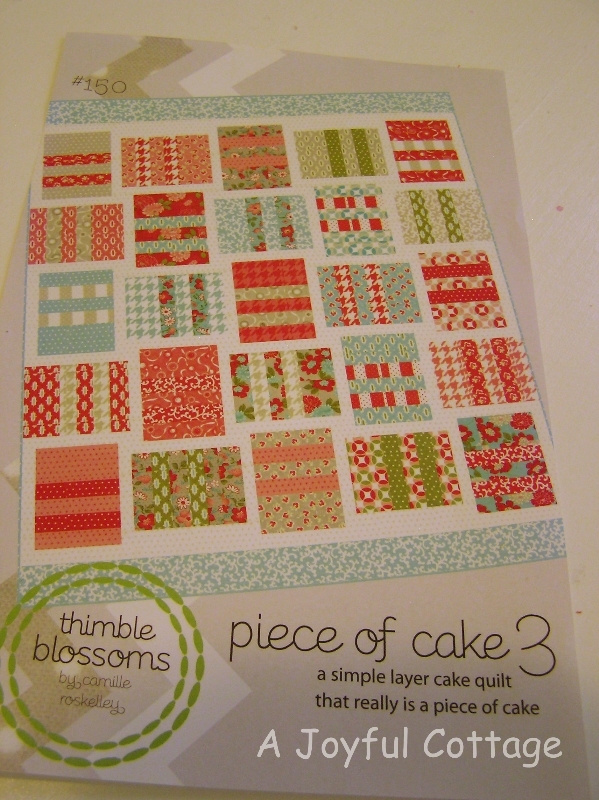 I'll use the 3 Sisters Lario Layer Cake by Moda to make this quilt. How about you? What are you doing this week? 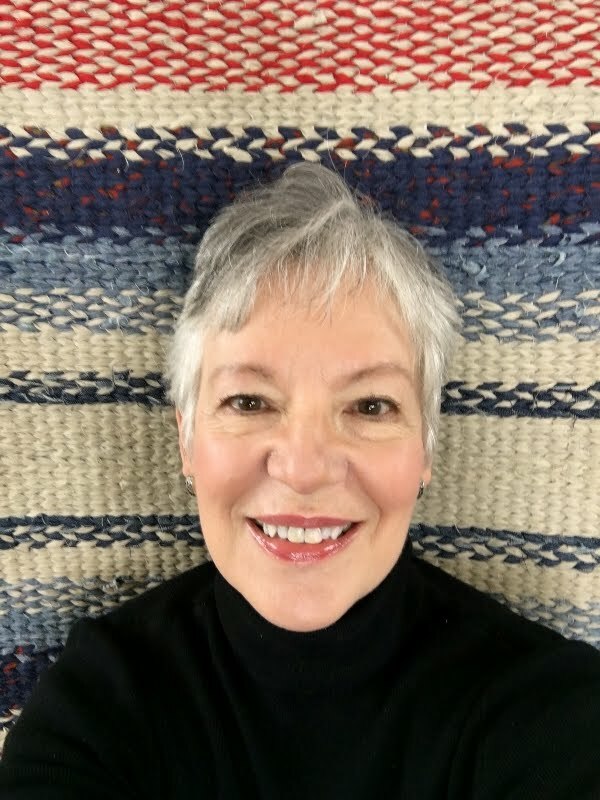 So lovely Nancy - your quilting talents are amazing! I've sewn just about everything and anything in my lifetime EXCEPT a quilt! Perhaps I need to try one if I can ever get enough time and stay home long enough. this week I'm in the garden working daily - used to be able to spend dawn to dusk out there, now only a few hours each day. Getting older is making garden work much harder - but I do love the satisfaction and beauty it brings. Have a great week - know it's a busy time - and hopefully you can relax and enjoy the blessings of Easter. Oh Mary, you're just too kind. If you were to look closely at this quilt you would have second thoughts about my quilting ability. LOL. I know what you mean about aging and gardening. But, like you, I love the satisfaction and beauty it brings, and when we have our own garden space again I'll do whatever gardening I'm able to do. Even if it wears me out, I'll be happy. Have a great day! Just love the quilt. I used to work in a fabric shop (quilting) and saw all the beautiful quilts that the women made. I never could get into quilting, however I did make quilts for my four grandchildren. I will have to look up the pictures and post on my blog. I am going to start the cleanup of the sewing area today. Then begin a new project by the weekend. Not sure what it will be, depends on what I come across in the process. Maybe I get back to a UFO. I certainly have many. Have a great week. Anxious to see the progress of your next project. You did an amazing job on your first quilt, Nancy!! I LOVE the pieces you've chosen for the new quilt top. The colors are just beautiful! 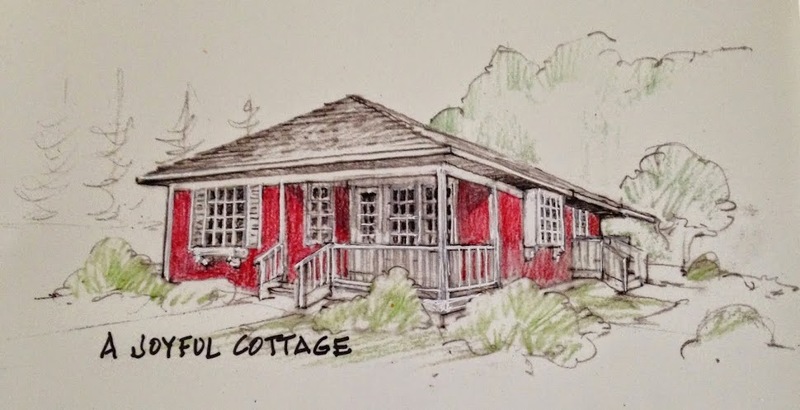 Debbie@Seashells and Lavender (formerly Lakehouse). You're so sweet, Debbie. Thank you. I'm off to visit your new blog! I love the colors. Your next quilt will be awesome. You're using two of my favorites ... 3 Sisters and Thimbleblossoms. Can't go wrong! Oops ... I used the wrong account! I'm at http://www.simplyfreshvintage.com. Hope you'll come by! It looks amazing. I admire anyone who can quilt! The new ones looks very springy with its fresh colours! Thanks, Magali. I really like the fabric for the new quilt. I worked on it yesterday, and love seeing the blocks come together. Have a great weekend! That is a beautiful quilt Nancy! Have a Happy Easter! Thank you, Sherry. Happy Easter to you, too. Good for you girl! I never quilt my own and it can get pretty pricey some times. If I waited for me to do it, it would never get done. lol! Love the fabric you are using for your next project. 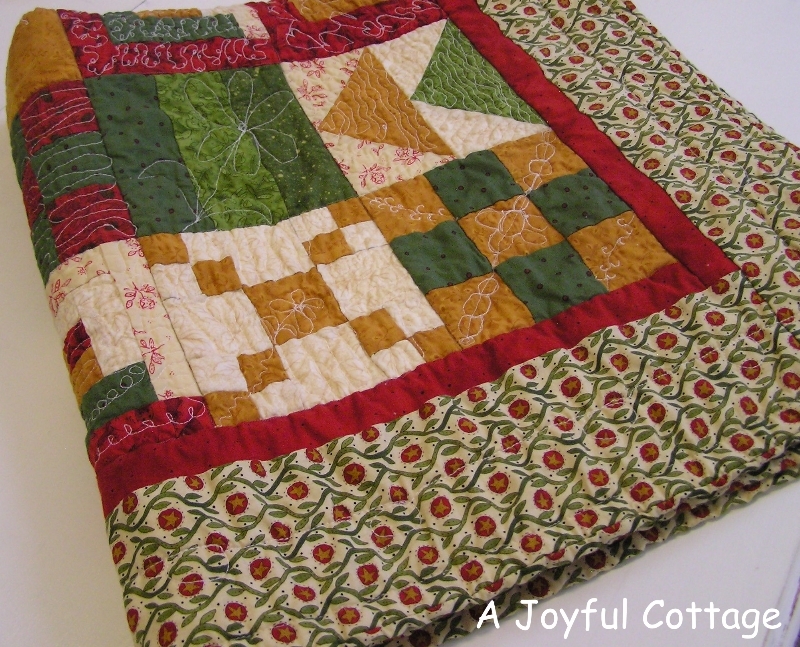 I think your firs quilt turned out just fabulously! Working in the garden before I head out of town with a few friends next Weds. Have a fabulous Easter my friend! And thanks for sharing with SYC. Congratulations on finishing your first quilt, it turned out beautiful. Thank you for sharing a Fluster's #CreativeMuster, I hope that you will come back and join us again. Your quilt turned out wonderful. I have never tried quilting. I love the colors and fabrics you've chosen for your next quilt too. I love your quilt and I know you are proud of it. Can't wait to see the next one. I'm happy I took the first step toward learning to quilt. My mother was very crafty and was a member of a quilting guild when I was a little girl. I still remember playing under the large quilting frame while the ladies worked on a bride's quilt. It was appliqued with tulips. All hand done and absolutely beautiful. Oh, I LOVE it...and I love the way washing makes a quilt look...prewashing is not for me, though I may some day regret it. 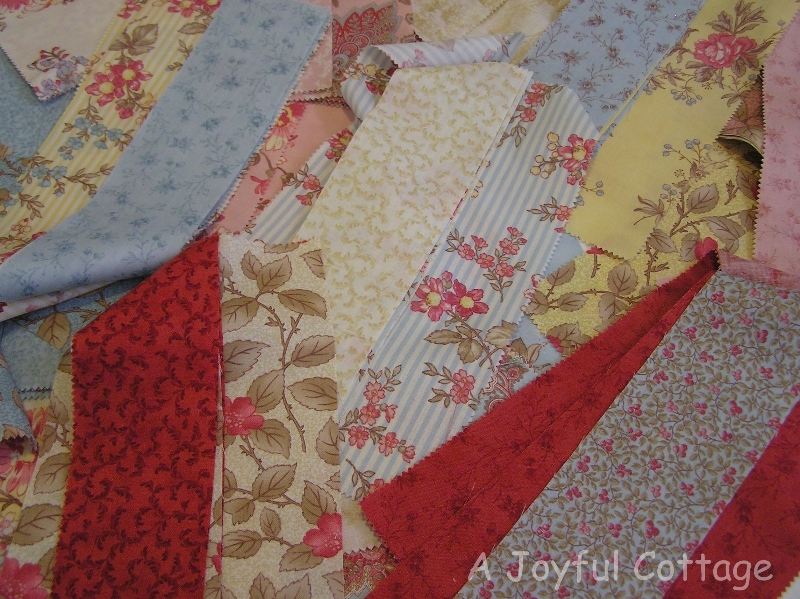 I love the fabric you chose for your second quilt. I have a quilt ready to do the hand stitching part of the binding, and I also have a small quilt I am working on upstairs. Was gone for a month to California so been back a bit over a week and still don't feel rested up. Trying to get back into the stuff I was working on before I left. I don't prewash my fabric either, Rose. The quilt shop owner where I buy my material said it's not necessary with the newer fabrics, as long as they're good quality. I know what you mean about losing momentum on a project when you're away from home for awhile. That's always the case with me. I'm soon you'll be back at it by the time I come over to your blog for a visit. :) Have fun!